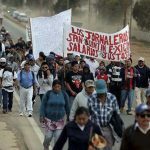 On Jan. 25 more than 30,000 workers from 45 maquiladoras (foreign-owned factories on the border exempt from certain duties) in the northern city of Matamoros, Tamaulipas, began a strike demanding a 20% salary increase and an annual bonus amounting to $1,700 USD. 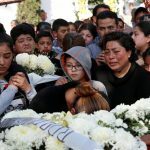 The horrendous oil pipeline explosion in Tlahuelilpan, Mexico, which killed over 100 campesinos and injured many more, has shaken all of Mexico. This was a tragedy long in the making. Since leftist López Obrador won the Presidency of Mexico, the masses will watch him and raise their voices if he fails in his promises for workers and Indigenous and against violence and corruption.